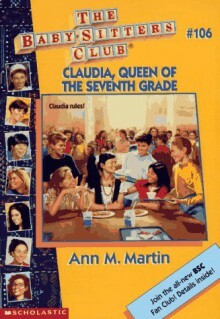 At first, Claudia hated going back to seventh grade. But things are definitely improving. She's on top of her schoolwork, she's made some great friends, and her new classmates really look up to her - so much that they nominate her to Queen of the Seventh Grade. And when the votes come in, the results are clear; Claudia's not just adjusting to seventh grade, she's ruling it! Well done Claudia for calling the rest of the BSC out on their behaviour!And poor Josh!